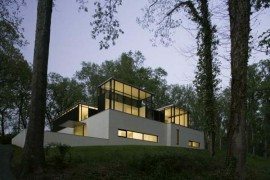 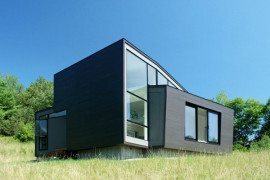 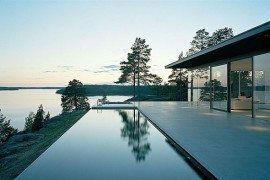 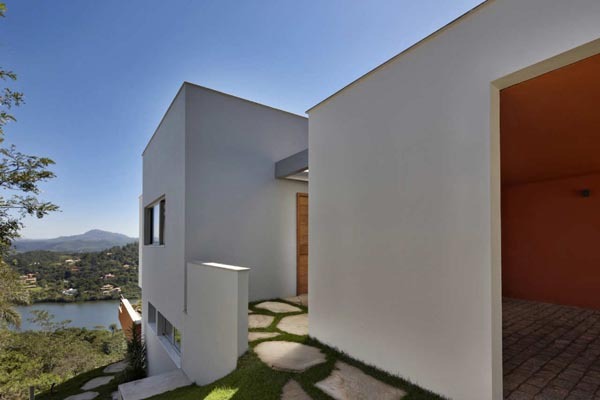 Built on a surface of 340 square meters, the Lake House designed by David Guerra is a modern residence that encompasses all the contemporary living needs of a family. 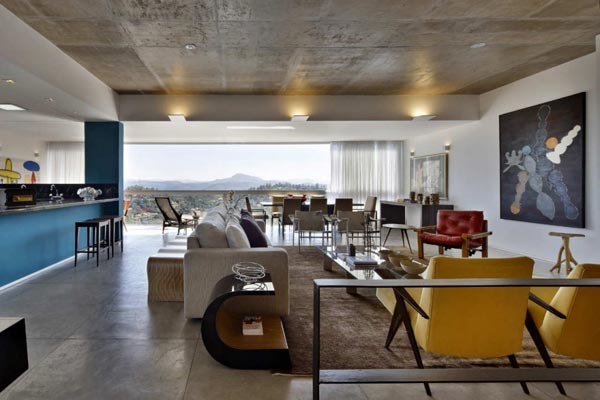 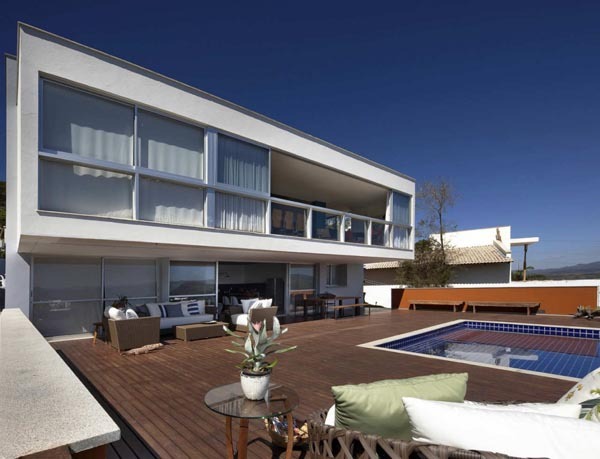 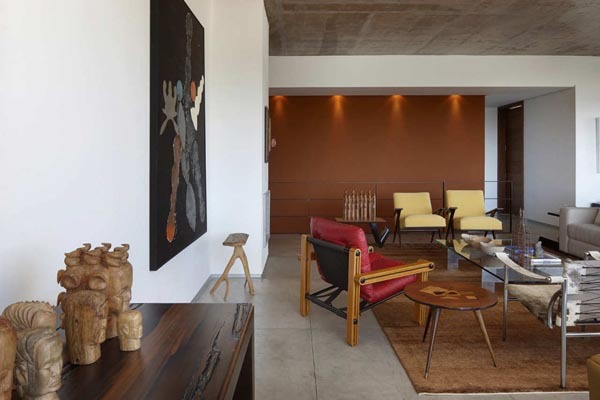 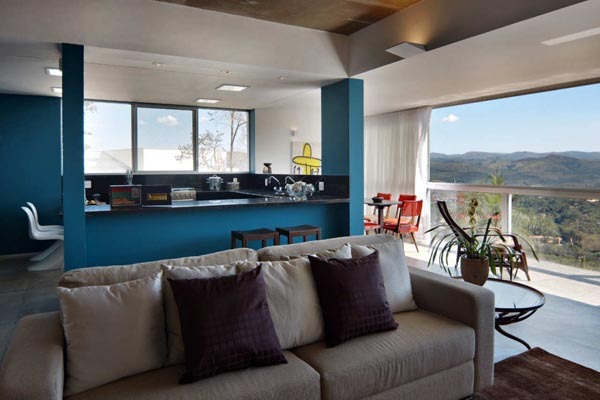 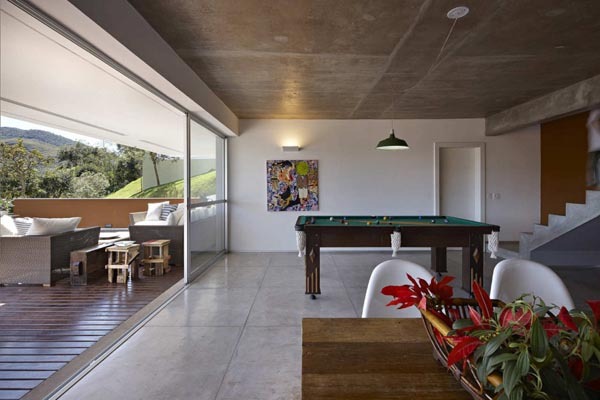 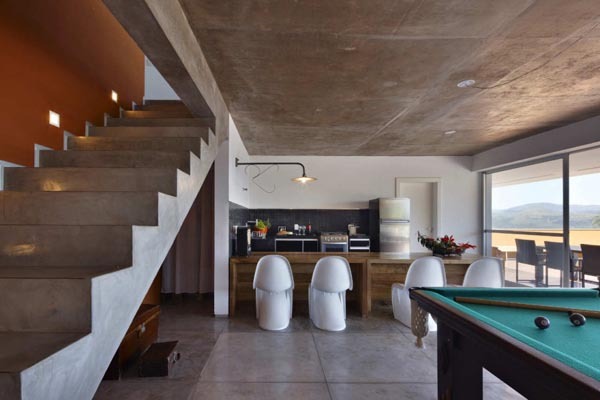 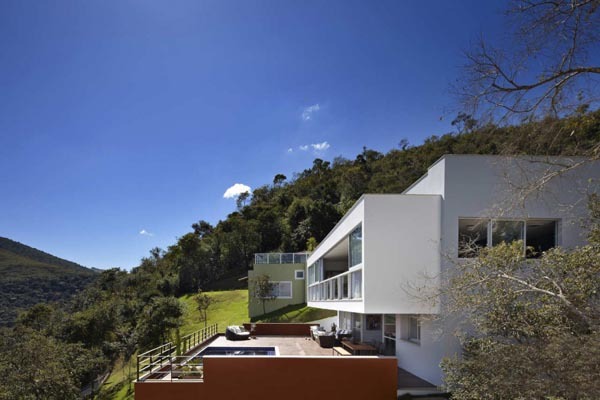 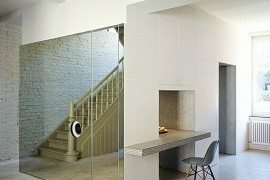 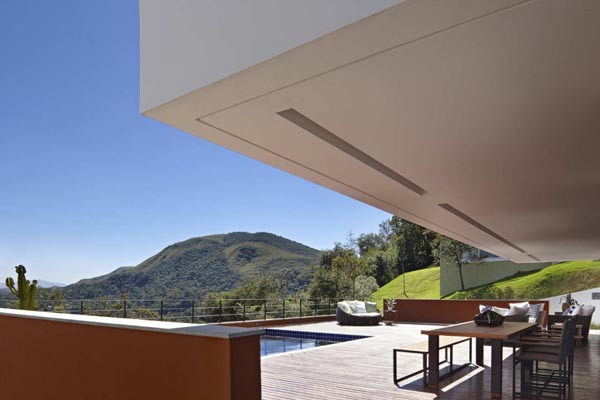 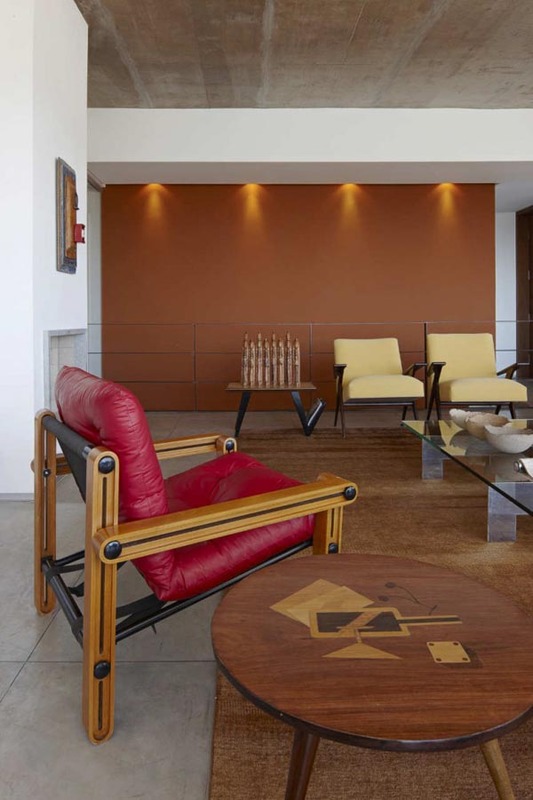 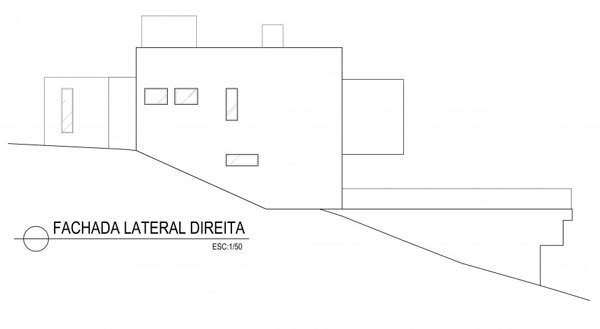 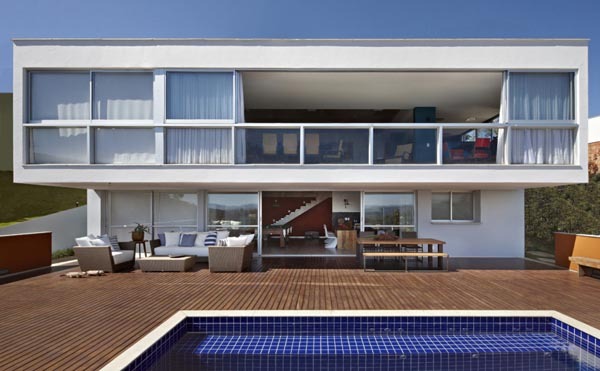 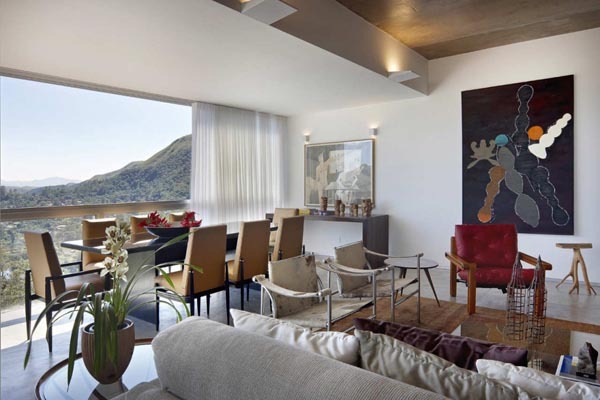 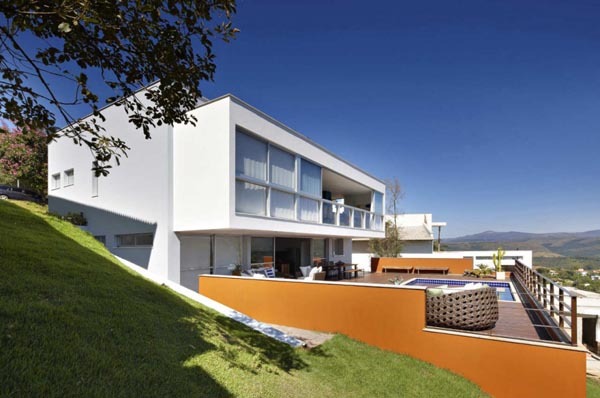 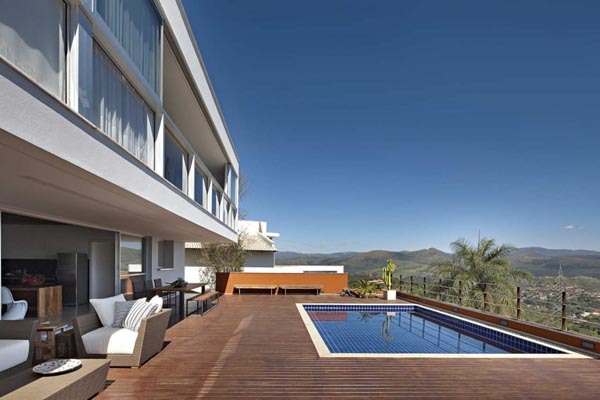 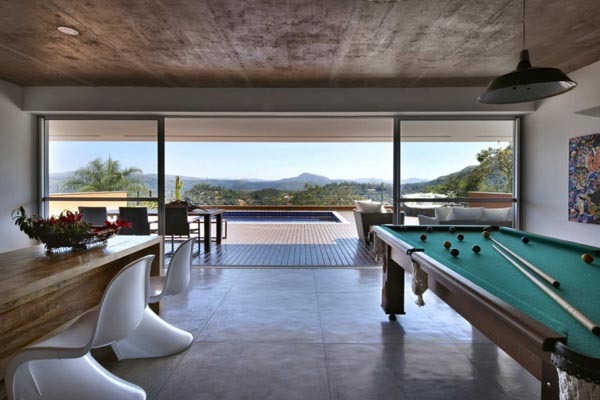 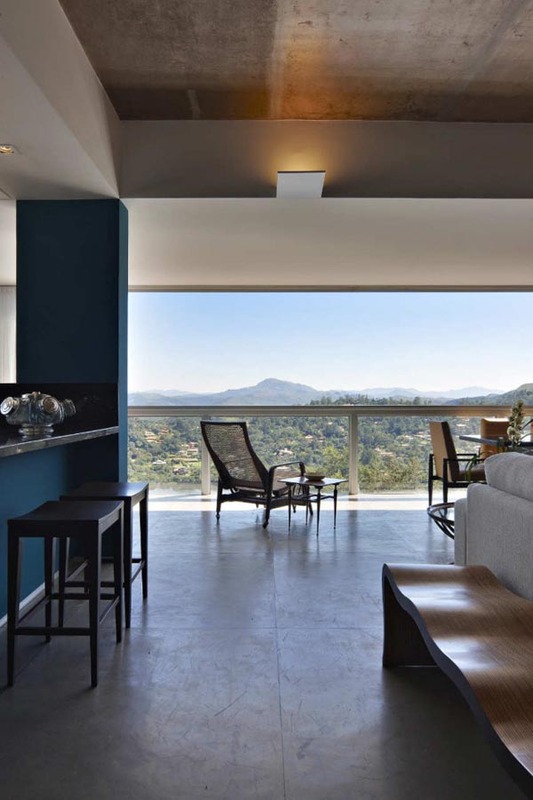 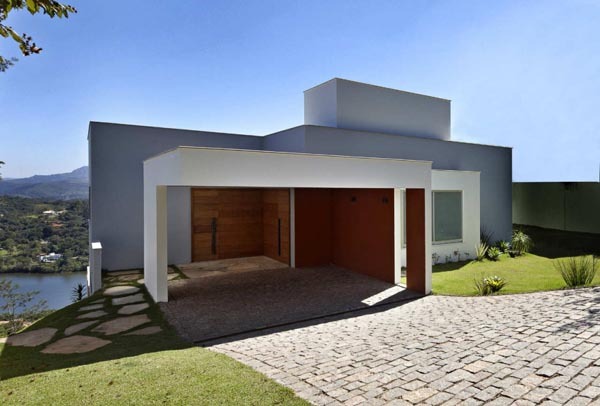 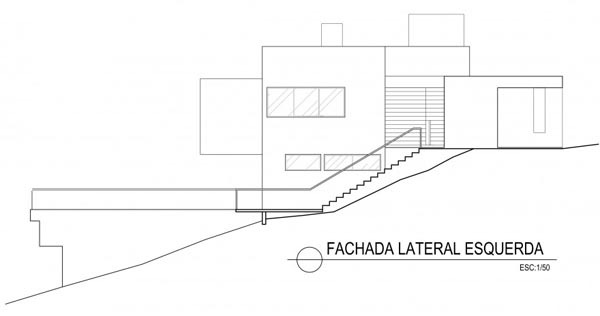 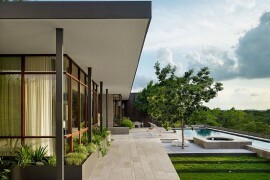 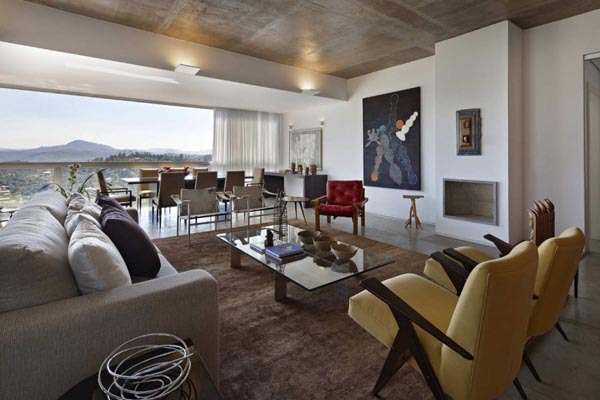 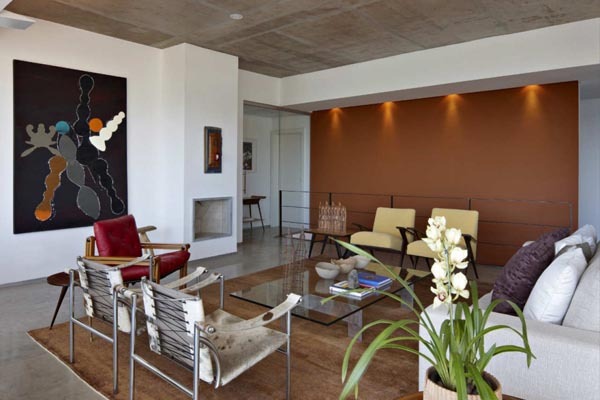 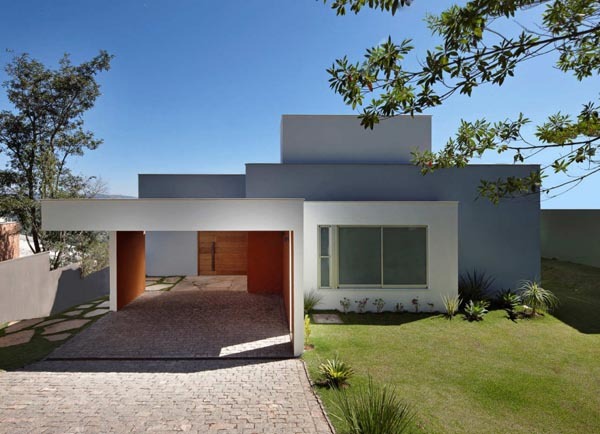 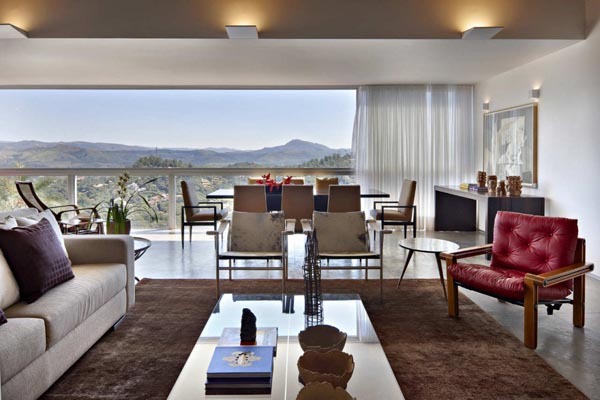 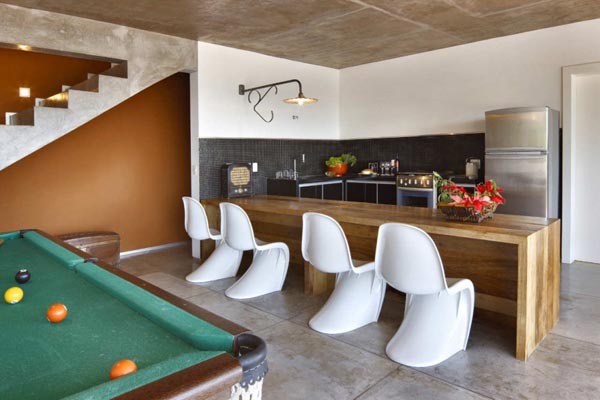 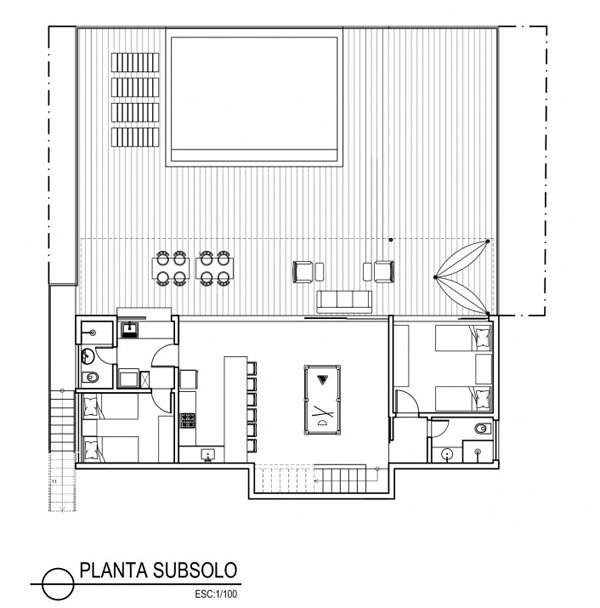 The location of the modern home is Minas Gerais, Brazil and it was built on a highly inclined terrain. 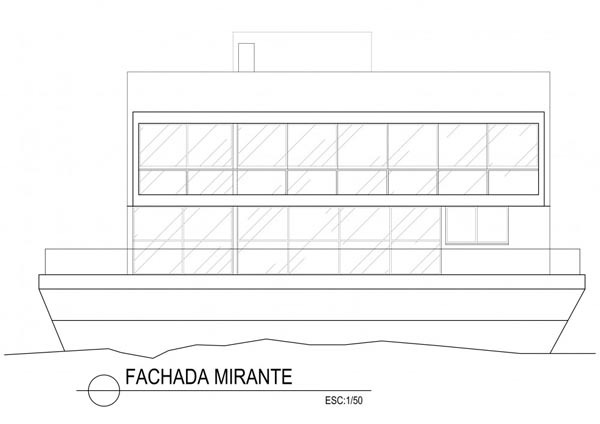 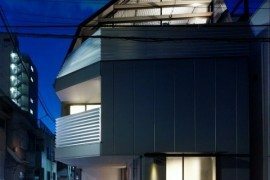 This is the reason for which the architects chose a box-like structure that has suspended balconies. 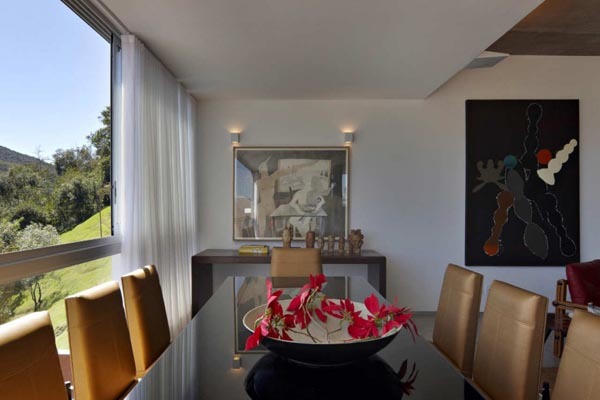 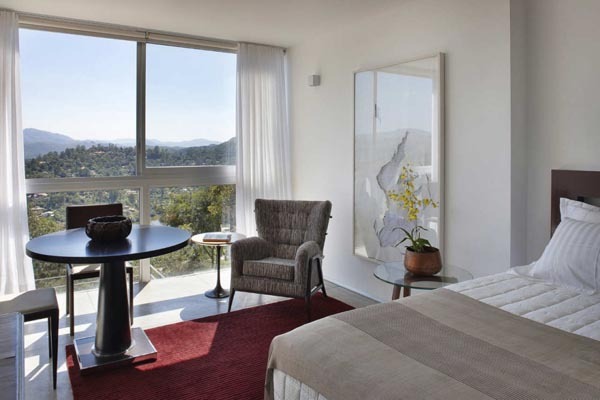 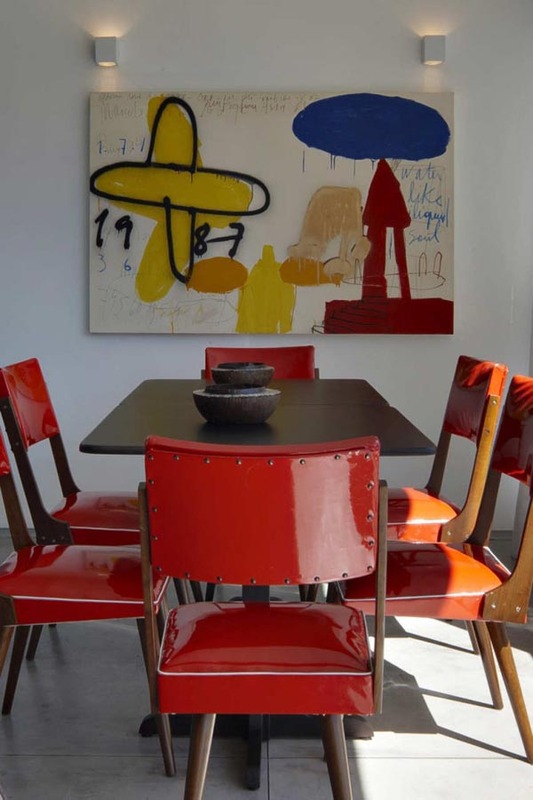 Having been built for a mom and her adult son, the residence features an unusual collection of rooms that have a personalized plan. 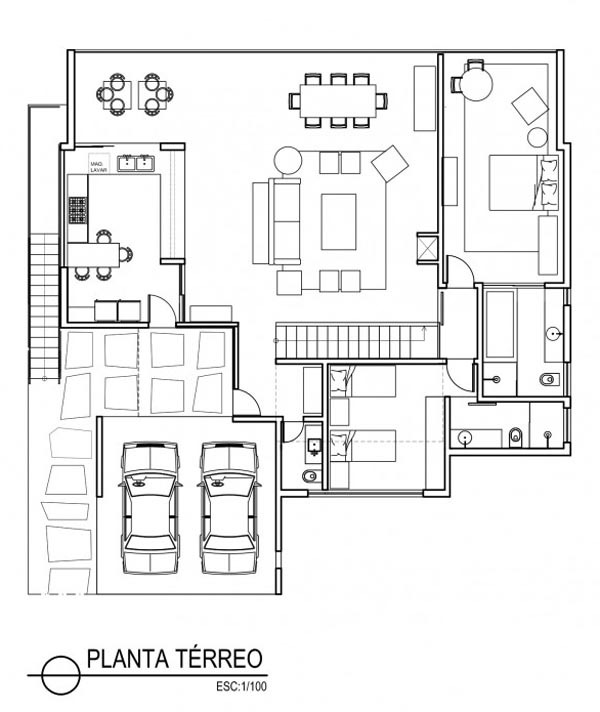 The first floor features the garage, hallway, laundry room, living room, dining room, balcony, guest bedroom and master bedroom. 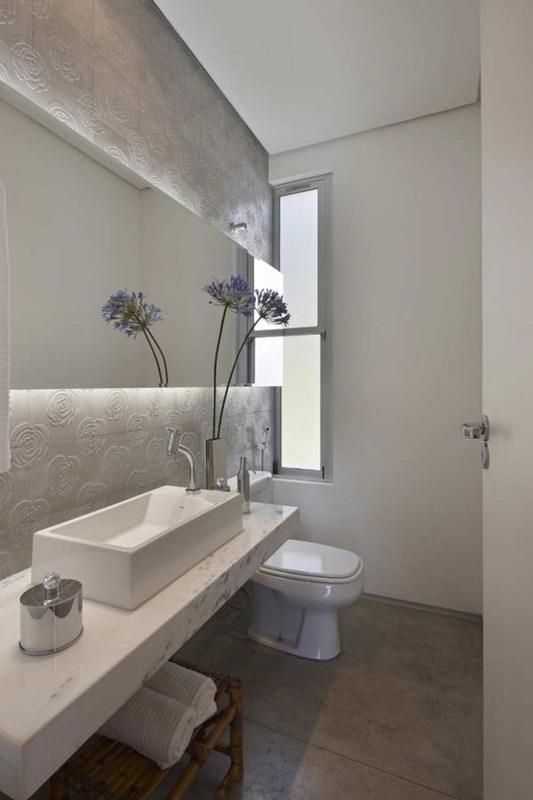 The ground floor is home to the games room, the gourmet kitchen, another bedroom, a service area, the service bedroom and bathroom, son’s bedroom (with an independent entry), balcony and a deck. 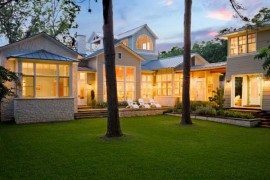 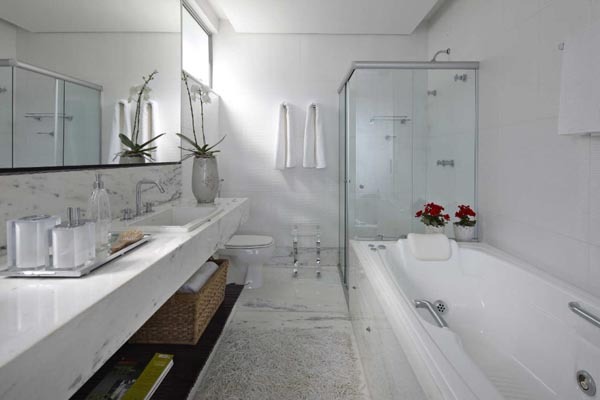 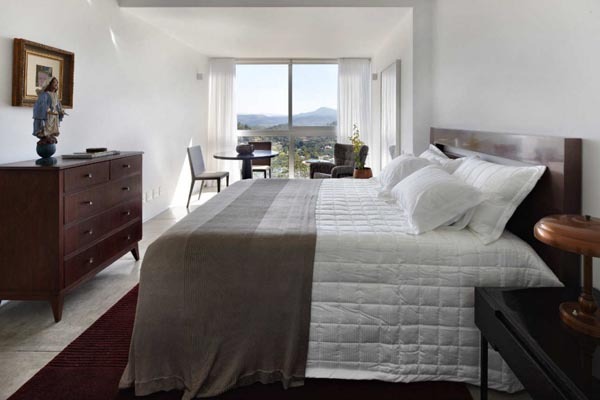 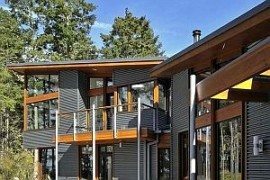 With a large area to welcome guests and family, the Lake House is perfectly fitted for its inhabitants.